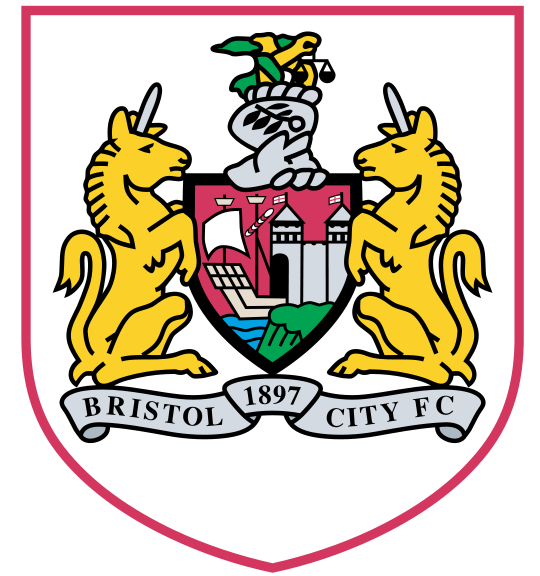 Bristol City will be playing in League 1 next season after finishing bottom of the Championship and not even coming close to staying up. Sean O’Driscoll was in charge for 20 games and although he lost 11 of them, he should not get much of the blame because they just simply were not good enough last season and they have been struggling for a number of years at the wrong end of the table so maybe it was time they got relegated. O’Driscoll has got one promotion from League 1 in his career with Doncaster Rovers and is a manager that I feel should be in the Championship so it will not surprise me if they return at the first time of asking. They have lost a few players that would have been good in League 1 and the club will feel they did not get the best out of some of these players like Jon Stead, who only scored five goals in 30 games last season. Cole Skuse is another that has left and he will be missed because he has a lot of experience and played over 300 games for the club. Another loss will be Tom Heaton who conceded a lot of goals but was still impressive. 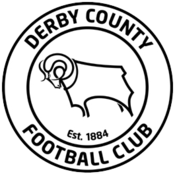 O’Driscoll has moved quickly to bring in former Derby County and England Under 21 goalkeeper Frank Fielding to the club. This is a good signing and he will certainly be one of the best keepers in League 1 and I am surprised that he was not snapped up by a Championship team. Another new signing that will be vital is Aden Flint. 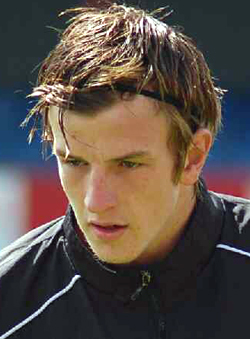 Flint has been an important part of Swindon Town’s team in the last few years and is someone that they did not want to let go. Central defender Louis Carey who is closing in on Bristol City’s all time appearance record will need to be a rock at the back if they are to be successful. Albert Adomah will probably leave the club in the near future so they will miss his pace and creativity but that is not to say they don’t still have some good midfielders. Marvin Elliott will be a very good player in League 1 and Paul Anderson is someone that at Nottingham Forest was an exciting player to watch when he got on the pitch and will need to produce a lot more quality next season. Upfront they have Sam Baldock who last time he was in League 1 looked fantastic and earned himself a move to West Ham United. That move didn’t quite work out for him but he still managed five goals in 22 games which doesn’t seem great but he did have limited playing time and was never really given a fair chance. His strike partner will most likely be Steven Davies who scored 13 goals last season and will be expecting to get more next season in a lower division. 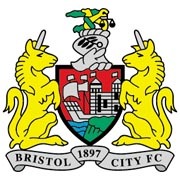 They also have Ryan Taylor and his time at Bristol City has not been the greatest so far and will want to make up for his slow start next season. Who will be relegated from the Championship? A lot of big teams have been relegated from the Championship over the years including Sheffield Wednesday, Nottingham Forest and Southampton so nobody is safe really and anything could happen. Last year we saw Coventry City, Portsmouth and Doncaster Rovers were unable to stay up so who will it be this year? 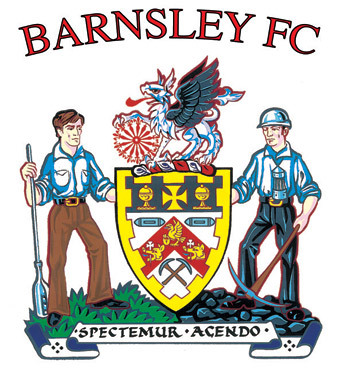 Barnsley struggled in the second half of last season especially after the departure of Ricardo Vaz Te who was their talisman and top scorer so it is easy to see why they are one of the favourites for the drop. Losing Jacob Butterfield will also be a blow and they will need their experienced players to perform well if they are to stay up. One of their main signings of the summer Mido has also been injured and he is unpredictable anyway so they may to rely on the goals from Marlon Harewood and Craig Davies to keep them up. 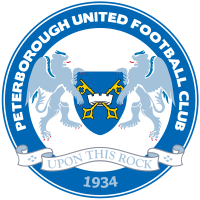 Peterborough United did ok last year and manager Darren Ferguson will want them to push on however I see this as a season of struggle for them. They did ease past Southend United in the Capital One Cup beating them 4-0 so that will give them confidence but I think they may have took a little risk this year especially in the goalkeeping department as they have signed Robert Olejnik who was one of the best keepers in League 2 last year but he may struggle to step up and with their defence also not being the best it could be their downfall this year. Another team that struggled for large periods of the season were Bristol City and they were defeated by Gillingham in the Capital One Cup so optimism can’t be high among supporters at the minute. They also lost one of their main strikers when Nicky Maynard decided to leave which leaves them with only three out and out strikers in Jon Stead, Brett Pitman and Ryan Taylor and none of these have ever been considered prolific. They do however have strength on the wings in Paul Anderson and Albert Adomah so if they can get these playing to the best of their ability then they do have a good chance of staying up. 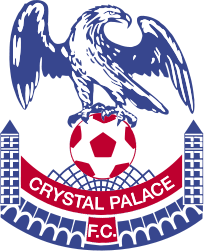 Dougie Freedman in my opinion overachieved at Crystal Palace last year and I think it will be very difficult for them to achieve what they did last season and finish as high up the table and 21st place could be seen as an achievement this year. They have so far kept hold of Wilfried Zaha but I do expect a few teams to be interested in him before the end of the transfer window. He is key to them and I hope he doesn’t feel the weight of the expectation on his young shoulders and have a bad season. Nigel Clough must be tearing his hair out at the moment after witnessing his team throw away a 3-0, 4-1 and 5-3 lead and still failing to beat Scunthorpe United in the Capital One Cup and eventually going out on penalties. I always thought they would struggle and I know it is only the cup but there is clearly something wrong at the back or at least in the confidence and concentration of their players. I doubt they will score five past many Championship teams but I do think they could ship five past quite a lot of them. 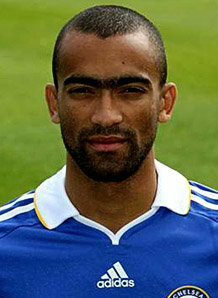 Who will Jose Bosingwa sign for? Jose Bosingwa has been told he can leave Chelsea after four seasons with the club and may be looking to stay in the Premier League. Since moving to Chelsea in 2008 he has had an indifferent time sometimes being a very good full back as he looked good going forward and was also solid defensively, but at other times he has looked very poor when defending and was often dropped. Nevertheless he picked up three FA Cups, a Premier League winners medal and to top it off a Champions League winners medal so he can count his time in England as very successful. In his first season at the club he looked quite impressive and barely missed a game, playing 48 times, he also added two goals and six assists. But, after that he struggled with injuries and form and couldn’t really put a string of performances together. In the season just finished he played 34 times which was the most since his first season in England and he may have done enough to stay at the club, unfortunately for him, it hasn’t quite worked out that way. 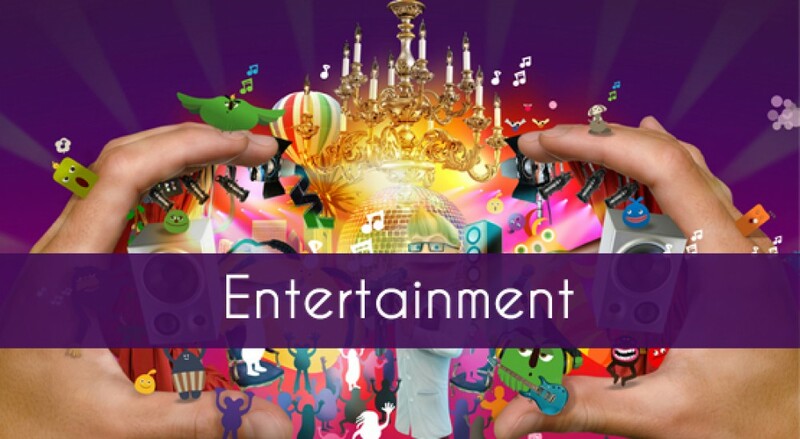 So what does the future hold for Jose Bosingwa? Will he go back to Portugal and finish his playing career over there or will he remain in England? In my opinion there are a few teams that would be interested in him and could use his services. I don’t think he is good enough for a top four team but the 29 year old could make a massive difference to one of those that are challenging for Europe. Firstly, I think Newcastle United could be interested in him, although he doesn’t quite fit into the way they are conducting themselves in the transfer market, I think he would be worth a look at. With Danny Simpson not yet signing a new contract the club will be in need of an experienced right back, plus he has played a lot of games in Europe which would also benefit the team. However, they do have Ryan Taylor and James Perch who can play in there but I think that Newcastle will be looking elsewhere this summer so a move for Bosingwa is possible but unlikely. Everton could be looking for a new right back this summer with Phil Neville getting older and may struggle to play every week. They do have Tony Hibbert as back up but for some reason he never seems to be able to keep his place in the side. A problem with signing Bosingwa could be his lack of consistency and his wages but if they can get him to lower his wage demands he should be interested in joining a club like Everton because every year they do fantastically well and have some of the best supporters in the country. Plus, David Moyes has a good record of getting the best out of players that didn’t quite cut it at teams like Chelsea and Manchester United. Finally, I believe Fulham could maybe look at Bosingwa because they may look to improve that position this summer. With Aaron Hughes playing some of this season at right back it just shows that Martin Jol maybe doesn’t fancy Chris Baird or Stephen Kelly in that position. Jol likes his teams to attack and Bosingwa would certainly add a lot going forward so he could be a very good option. Fulham are a good attacking side under Jol and I think they would be a good team for Bosingwa to join. With the Portuguese international being a free transfer it would be silly for teams not to look at him, I have enjoyed him in the Premier League when he has been on form but too often he has had off days. However, maybe it was the pressure of playing for a team like Chelsea that stopped him from playing his best football and every mistake he made was criticised heavily by the media and pundits alike. Shola Ameobi has done it again against Sunderland and secured a vital point for Newcastle in a game that seemed to be drifting away from them. He has not always been the most liked player and has been slated by many fans over the years but when it comes to the Tyne Wear Derby you know exactly what you are going to get from him. This was his seventh goal against Sunderland in only 12 games and this is why he will always be a cult hero. Only Jackie Milburn has scored more league goals in the derby than him. He may have got a bit lucky with his goal as Mignolet should never have been beaten at his near post with such a weak effort but at least he was in the position and connected with the ball. It was a blood and thunder derby especially in the first half with many bookings and eventually early in the second half a red card which meant that recent signing Papiss Cisse could not really get into the game and makes you wonder if Pardew made the wrong choice. Everyone knows that Sunderland are sacred of Ameobi and he should have started. He didn’t have the greatest of days, Pardew, as Davide Santon was not looking very weak at the back and maybe Ryan Taylor should have started over at left back because when Hatem Ben Arfa came on he changed the game and put Newcastle on the front foot. He has at least given himself a good chance to start in the next game just like Ameobi has. This day is about Shola and even though his record overall isn’t the best he does add something to the team whenever he plays, it was only a few weeks ago that he was a very important player in the game against Manchester United and although he didn’t score he should have been given a lot of praise for his performance. He has been at Newcastle his whole career (apart from a short loan spell at Stoke City) and you can see how much he loves the club and will do anything for it and anything to secure points for the team. He has never been a prolific goal scorer with him never getting to double figures in the Premier League and this is quite remarkable as he has played a lot of games and should have a higher scoring ratio but there is no doubt that he was a vital part of the team that won the Championship and got the team back to where they belong. I hope he enjoys his goal and it lives long in the memory of the Toon fans because it has allowed them to have the bragging rights this season and if you are from the North East you understand how important not losing this game is. Sunderland will be devastated and they should feel a little ashamed of themselves especially club captain, Lee Cattermole who got himself sent off after the final whistle for verbally abusing the referee. You had your chance Sunderland and you blew it. This result could prove to be very pivotal in both teams seasons with Newcastle only winning one of their last eight after starting the season with an 11 game unbeaten run and Manchester United now losing two games in a row and conceding six goals in the process. This isn’t very Manchester United like and the performance against Newcastle further highlighted the need for strengthening at Old Trafford with the Toon Army having firstly more drive and determination but also more skill and ability. Demba Ba was a constant threat and should have had a penalty when he was blatantly took out by Rio Ferdinand in the box but this probably evens out what happened earlier in the season when Newcastle won a penalty against Ferdinand which was clearly a mistake by the officials. The first two Newcastle goals were through a little bit of individual quality and they had clearly watched Manchester United’s previous game against Blackburn where they also looked suspect at the back. Newcastle deserved their emphatic victory as they had more shots and even under slight pressure they held strong and only really looked like conceding once or twice. As a team, Newcastle won the battle obviously as the stats suggest but what about the individuals. Krul didn’t have much to do in the game but has proved time and time again this season that he is valuable to the squad and that goalkeeper’s are so important in this league and can win you points almost singlehandedly in some games. He dealt with everything that was thrown at him quite comfortably apart from one Nani shot in the first half which he didn’t take cleanly but recovered quickly enough to get control of the loose ball. Lindegaard must be quite a confused man this morning, conceding three goals, yet he also didn’t have much to do. The first two goals were unstoppable and even if him and De Gea had been in goal it still would have been 2-0 Newcastle. He does not look convincing though and when put under pressure he could struggle with Williamson putting a header over the bar after he came for a corner and got nowhere near it. Also, a worrying part of his game is his communication with his defenders which was shown when Phil Jones put the ball into the back of his own net. This may have been Danny Simpson’s best performance in the Premier League for the Magpies as he attacked very well and attempted to support Ryan Taylor whenever he could, although his final ball at times was poor. But it was his defending that was most impressive especially after his shocking performance against Liverpool, he was strong in the tackle and his positioning for the most part was spot on. His goal line clearance was celebrated like a goal by the team and so it should have been because if the team from Manchester had scored then we would probably have been looking at a different result. Got to feel sorry for Valencia, he isn’t a right back but always puts in a good shift wherever he is told to play and was no different in this game. He always looked to get forward and was probably their most attacking threat. Like Simpson his final ball let him down but his work rate, getting up and down the wing time and time again was commendable. Davide Santon was signed with quite a big reputation from Inter Milan but couldn’t seem to shift Ryan Taylor a makeshift left back from the team and a lot of fans were wondering is this guy the real deal or just another flop we have signed from Europe? Based on his performance last night you can see why he was highly rated by every Inter manager apart from Mourinho. But like most fullbacks these days he is better at going forward than defending producing jinking runs and alleviating the pressure on him and his fellow defenders with his ability to keep the ball. Performed well against Nani who is quite a tricky customer when he is on his game. Patrice Evra, this season for me does not look as solid as he has done in previous seasons and this was shown again at times as he got beaten for pace by Ryan Taylor and allowed him space to cross time and time again which the central defenders won’t have been too happy with. He was given the captains armband but I don’t understand why, he doesn’t not seem influential or inspiring as captain at all. Going forward he didn’t really have a chance and this is the best part of his game. Poor performance but will surely before the end of the season prove he is one of the best left backs in Europe. Just back from injury, Williamson adds much needed height and power to the Newcastle defence especially after the injury to Steven Taylor which ruled him out for the rest of the season. He sometimes looks suspect when dealing with a bit of pace and movement but he does win a lot of aerial battles and can tackle when he gets the chance. Also, he gives the team another attacking threat from set pieces, missing a simple chance in the process but he will be happier with the way he and his fellow defenders snuffed out the threat from the opposition. Phil Jones there is no doubt about it, is one of the most promising young players currently in England with his ability to play in several different positions. But he played centre back against Newcastle and was given a lesson from Shola Ameobi and Demba Ba. He could not deal with their power and pace. Losing the first header in the first goal and giving away the free kick for the second. For the third, he probably wished the ground would open up and swallow him after a breakdown in communication with his keeper, he went to header the ball but misjudged it and it his knee and went into the back of the net. A night to forget for the young lad but he will prove to be a very good signing for United. ‘Captain Colo’ has been in fantastic form this season and never looks flustered under pressure producing moments of magic the most attacking players would be proud of. He didn’t get much of a chance to maraud forward as much as he likes to from centre back but it is his defending that has improved dramatically since he first arrived in Newcastle. He is quick along the ground and seems to see danger very quickly to get across and clear for his team. It’s not just luck that he seems to be in the right place at the right time over and over again. His curly locks in his first season were noticeable for his mistakes but now everyone not only notices his flamboyant hair but his abilities as a top class central defender. Rio Ferdinand was very lucky not to give away a penalty after a tangle of legs in the box and this just typified his night. He didn’t seem to be at the races almost gifting a goal to Demba Ba after a poor first touch, he could not deal with the strikers just like his much younger and less experienced partner Phil Jones couldn’t. But surely we expect better from the man that is hoping to lead England’s defence at Euro 2012 (if John Terry is banned for racism then surely he can’t play for England? But this is an issue for another time). He just didn’t look his normal composed self at the back and maybe it’s because he is getting older or maybe it’s because he doesn’t have any confidence in his goalkeeper and players either side of him. Not all his fault but should have been tighter on Ba for the first goal. Ryan Taylor is fast becoming a cult hero for the Toon Army with his impressive displays at left back and obviously his winning goal in the Tyne Wear Derby against Sunderland. But he played on the right of midfield and he was energetic and full of life always asking for the ball and most of the time keeping good possession. He provided Simpson with a lot of support and was a very hardworking performance from the Scouser. His set pieces were always a threat as usual causing panic in the Manchester United defence from his corners. As always the Argentinean did his job and worked hard winning free kicks for his team in tight positions and covering every blade of grass down the left hand side. Sometimes his final ball lets him down and going forward he can be frustrating but that is all forgiven when the fans see him working hard and at times running the length of the pitch to get back just so he can give extra support to his teammates which not every winger is willing to do. He is nothing more than an average player but he is worth his weight in gold and Newcastle are very glad they have him. Park is similar to Gutierrez always works hard for the cause but he doesn’t seem to get as much credit probably because being a Manchester United player you need more than just hard work but Park doesn’t seem to offer anymore. Possibly only still at the club because of the financial side of the game as he will bring even more money in from Asia for the champions. Maybe this is a little harsh on Park but from his performance he does not look good enough for a team wanting to win the league. A fantastic free kick capped off a fine performance, was an absolute steal for Newcastle when they signed him from Lille. His passing has been a vital part to the way Newcastle play with his ability to accurately send cross field to passes to the winger on the opposite side. Against Man United he played slightly differently to normal as he looked to break forward a lot more and get into the box, having a few shots which he is capable of hitting with both power and accuracy with either foot. But his free kick will be remembered by the Geordie faithful for quite a long time. He could be in the running for signing of the season but unfortunately for him and fantastically for the Newcastle scouting team who deserve huge amounts of credit he probably hasn’t even been Newcastle’s best signing. He has a great partnership with Tiote but even earlier in the season when Tiote was injured he formed a good partnership with Danny Guthrie so it just proves his quality and his ability to adapt his game to whoever is playing alongside him. The Welshman for the first time actually looked his age against Newcastle, dominated by the opposition and unable to produce any magic we still expect from him. Playing in the centre of midfield he looked a shadow of his former self and this may be down to the performance of the Newcastle centre midfield. Maybe it’s time to call it a day although against a less pressurising team he could still do a job for United but it may be better just to play him in the home games. In my opinion Paul Scholes could have had more of an impact on a game like this if he was still playing. Another holding midfielder but plays very differently to Tiote, he is more of a passer than a tackler although he doesn’t mind getting stuck in at all. The game seemed to pass him by and as a Geordie probably wanted to perform at St James’ Park but this wasn’t great and is probably glad Fabio Capello does not come up to the North East to watch football or it could have reduced his chances of going to the Euros. Although he is a player who’s work often goes unnoticed, in this game he was invisible and lacked the needed quality to break down this resilient Newcastle team and is further proof that Fergie needs to invest in a central midfielder. Maybe players like Cabaye and Tiote would be good signings. 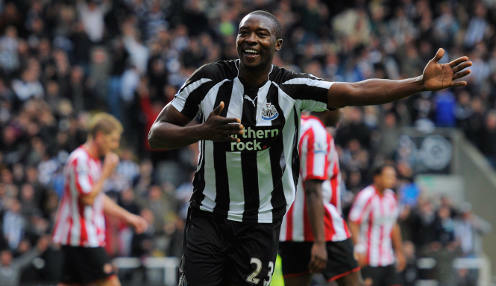 Shola Ameobi affectionately known as the ‘Sunderland Slayer’ by the Geordies had arguably one of his best games in a Newcastle shirt, he caused a threat every time the ball was in the air and won a large majority of flick ons to his teammates. He is often criticised because of his lack of ability but he made up for it with his determination and movement. He won the flick for the first goal and then dragged the defender out of position so Demba Ba could attack the space and win the free kick that led to the second. Shola along with the other strikers will have to step up to the plate in the next month with Ba away on international duty but this performance should give the fans some hope. What more is there to say about this man? He has such fantastic ability on the ball but it was his hard work that impressed me most , he chased down everything and led from the front in not giving any Manchester United player time to settle on the ball. But, his goal showed how good of a player he is, what fantastic technique to hit the ball first time like that and it finding the corner of the net. He is a constant menace and seems to be scoring goals for fun and for a free transfer surely must be the signing of the season. Fans wondered where the goals were going to come from and how would they replace Andy Carroll. Demba Ba has stepped up and surpassed even the most optimistic fans expectations. It’s not surprising fans and pundits are running out of superlatives to describe his season. It’s just unfortunate not only for the Newcastle fans but also the Premier League that his season is being disrupted by the African Cup of Nations. Wayne Rooney was not at the races at all, and it was clear to see when he was played through and his touch let him down, it was a chance he would usually gobble up, especially against Newcastle, who he has such a good record against. Substituted for Anderson and this basically emphasises how bad of a night it was for the England striker, losing by two goals and taking off a player that is usually feared by every defender in the country. With him not playing against Blackburn it seemed to be written in the script that he would be influential in the game but this was ripped up and never happened.